COMING SOON ONLINE AND IN PRINT! Roboy Red-- A New Kind of Hero, from the creators that brought you Buzzboy! Roboy Red by Rich Faber and John Gallagher - the tale of a runaway theme park robot! 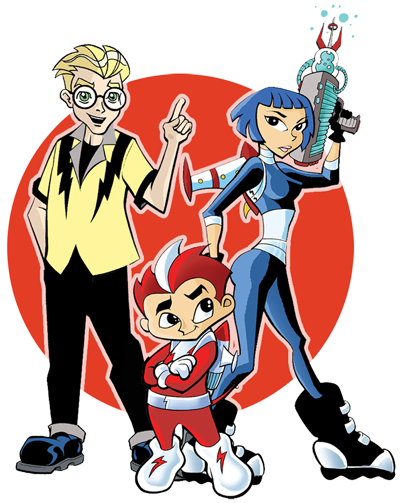 When a corporate magnate takes over the Roboyland theme park, he wants to use Roboy's circuitry for weapons soon, Roboy and his friends Dara and Tuck are on the run! 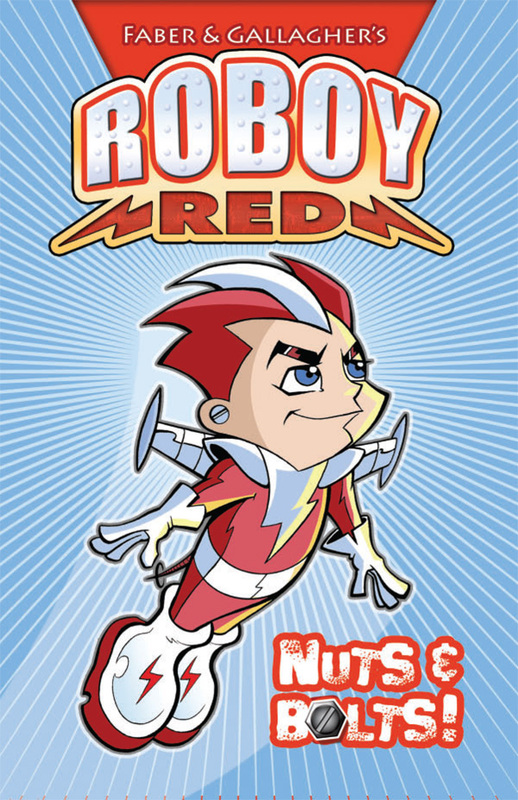 Roboy Red was America's favorite cartoon character, until he was transformed into a real, nuts and bolts robot! Now he runs from the corporation that built him-- a THEME PARK REFUGEE! the mystery of footy pajamas! of America's coolest boy robot, as well as a behind-the-scenes look at the creation of Roboy Red!